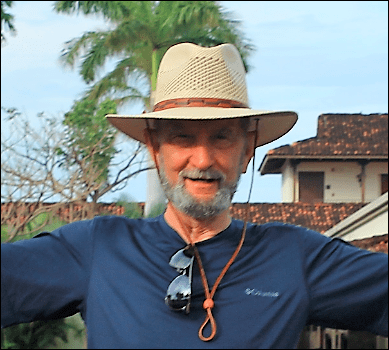 You could also call this heading “My philosophy”, “My vision” or just “My retirement.” This is to let everyone know about what drives me to write about the beautiful country of Costa Rica. What’s unique about the country, people, culture, and the animals of a particular region, habitat, or geological make up. I will be doing my best to explain everything I see, hear and do to all my readers. It is pretty simple. Like most of us, I worked all my life dreaming that some day I would be able to retire in a warm sunny place. I have been blessed with a wonderful family, great friends and the financial means to retire in the location of my dreams. My team will be all the family and friends that visit me here in Costa Rica. (and of course my local friends) Their observations of the things around them as we explore the country together, this I will pass on. With me living here I am sure over time I will start to take some things for granted. But my visitors will have fresh eyes and help me see the beautiful world around me. For me to encourage family and friends to take the time out of their busy life to visit. I will accomplish this with a warm invitation and hopefully this blog. With all of its information, pictures and laid back, tranquil, soothing life style expressed here will inspire them to visit. Yes, add me to your mailing list. For anyone interested in purchasing my pictures, they are available on Shutterstock.com.